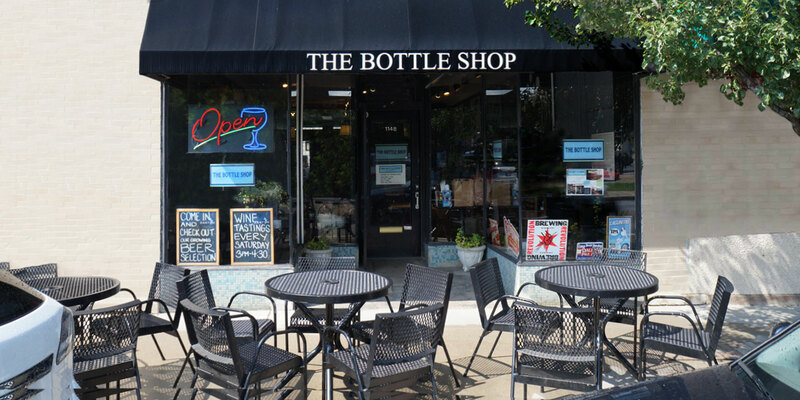 The Bottle Shop – Offering more than 400 bottles from vineyards and breweries worldwide. We have a large bar, flat screen cable TV, lounge area and outdoor seating for our customers that would like to hang out in the shop. No corkage! We have beautiful gift bags and boxes, wine openers, books, decanters, maps, glassware, wine charms, note cards and chocolates. We stay open later for private parties or large groups with advance notice. Please call Amy 847-602-0714 for details or email info@thebottleshop.net. to receive The Bottle Shop's newsletter.